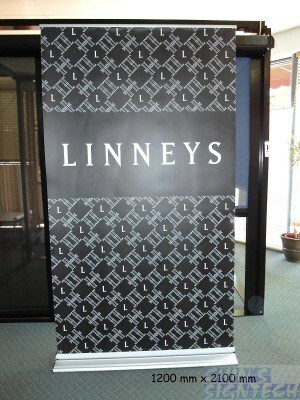 Choose which type of Pull Up Banner, expensive or cheap types ? There are so many different and similar pull up banners on the market making it difficult to choose. We tried, tested and filtered out some of them and given you a slightly easier choice to make. In our local market, many print shops and customers choose those normal Pull Up banner. Why oh why? Because these normal Pull up banner do last very long compare to those quality types, if taken care properly. We have no compliant from customers that these pull up banners get faulty easily. 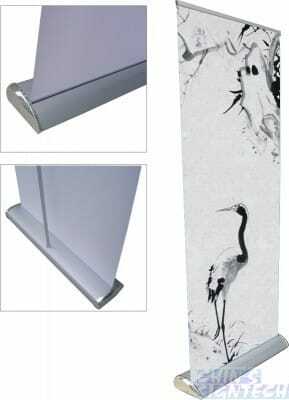 1) Sometimes manufacturer provide the pole not straight that support the top bar. Thus making the media on the pull up banners slanting. So we need to adjust to make it straight. 2) The base that extend the legs out are weak. If the legs got bend too much, it will break. 3) They are lighter, not suitable for outdoor. If the wind is strong, it will shake and become unstable. 1) They have broader base, you no need to extend the legs out at the base. 2) The weight of the mechanism is heavier. So is more stable and not shaky. 3) Their base look more elegant and neat. 4) You need to pay cost extra $50+ more. Comparison : Photos on Premium Roller Banners versus Cheap Roller Banners. Conclusion : Overall Economy Pull Up Banners are alright to use, they last very long. 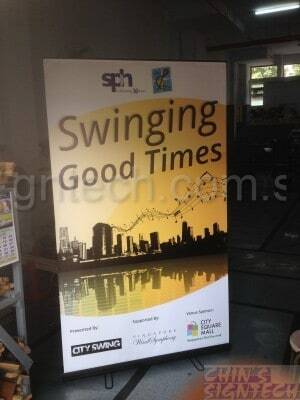 If they spoil easily, manufacturer from China won’t manufacture these kind of Pull Up Banners. Why pay more for those Premium Pull Up Banners that have nice base only. We, Chin’s Signtech only sell economy products to customers. That is why we don’t sell these premium pull up banners. 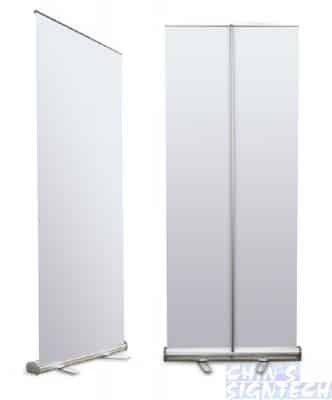 You only need to use premium pull up banners unless your air con is very strong, it blow the pull up banners and make it shaky ! Think smart and save your extra $50+ money ! If die die want to buy, we can supply to you, no problem.